Australia cPanel Web Hosting @ $5.95 NOW! We help you migrate your web site to us for FREE! View all our Web Hosting Plans. Great For : Businesses and Individuals seeking extra value for disk space and bandwidth. Build around Cloud Linux for extra stability and reliability. User friendly cPanel control panel and Fantastico web app installer get your site up and running in no time. With enhance features like Ruby on Rails, even the developers will be smiling! Great For : Web designers and businesses seeking to add value to their current existing business. Beside generous hosting disk space and bandwidth that are included in Flexihostings reseller account, we now offer you 24/7/365 private label technical support service as well therefore you can leave all tech issues to us and focus on selling. Allow Overselling ? : YES! Great For : High traffic site and indivduals seeking the ultimate control on their web apps / website. 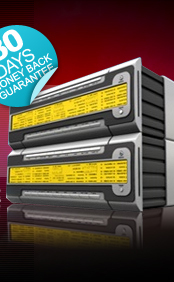 Dedicated server at a fraction of the price. All VPS are hosted on specially build Cloud infrastructure for stability and reliability! Great for hosting websites that are more server resources intensive. VPS / VDS allow you full ROOT access VPS / VDS is isolated from other accounts on the server. VPS Control Panel SolusVM - Control all aspect of your VPS from reboot to even OS reinstall!